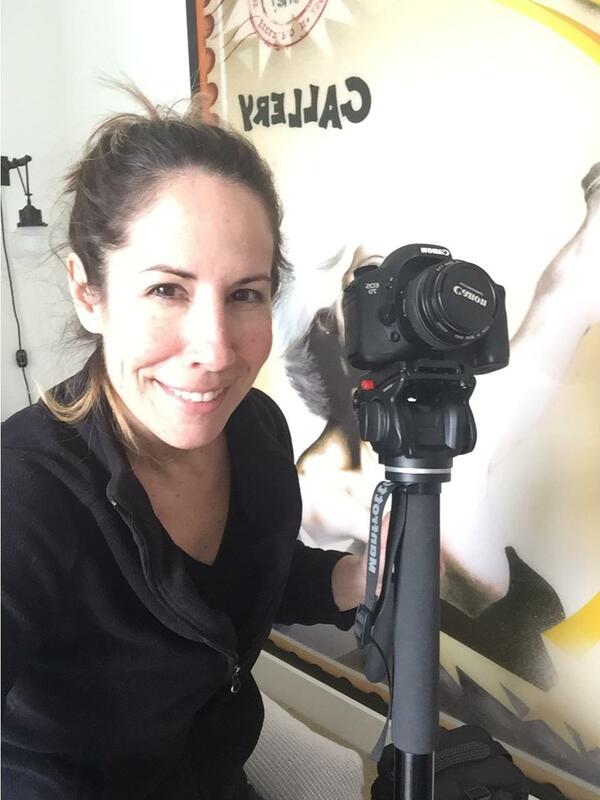 You know you need video to grow your brand and build your trust. You just don't know where to start, what platform to use. And what do you even talk about? You're worried you're going to put a ton of work into your videos and no one will even watch. 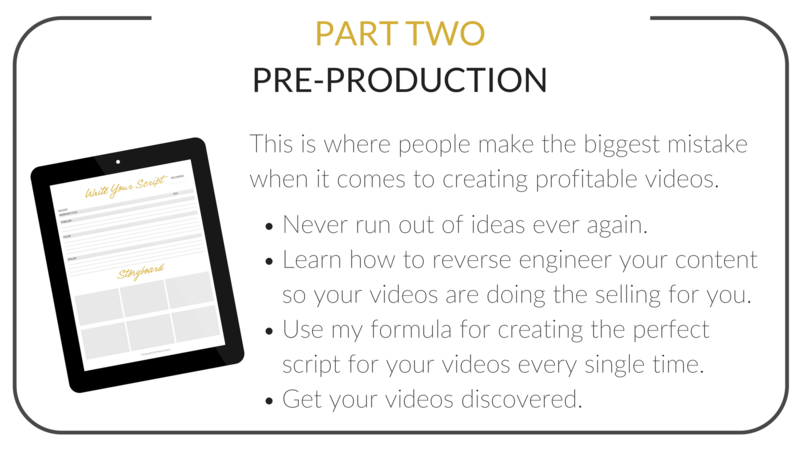 You don't have a solid plan or system to create your videos. You always feel like you are reinventing the wheel. Then you end up forgetting stuff and it takes foreverrrrr! You wish there were crickets because maybe you could get them to watch your videos. Then you think, "Aggghhh what am I doing wrong? Why am I the only one who doesn't get it?" 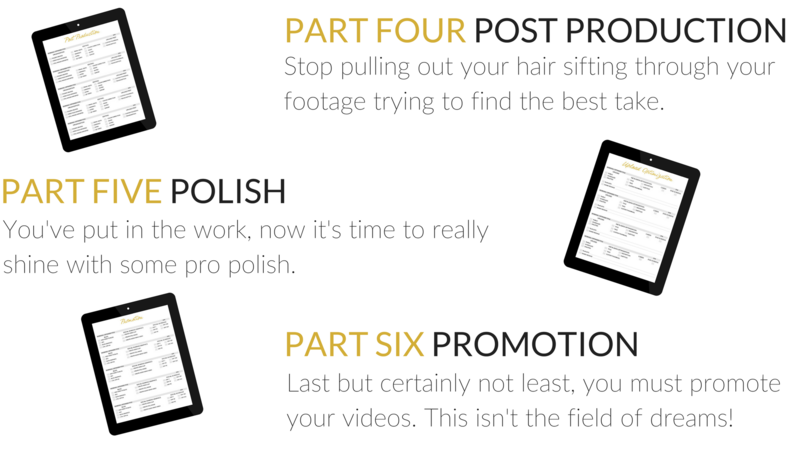 You have created a totally unrealistic schedule to create your videos and you clearly can't keep up. So you make some videos here and there, but there is no real consistency. Let's Take Your Videos To The Next Level! 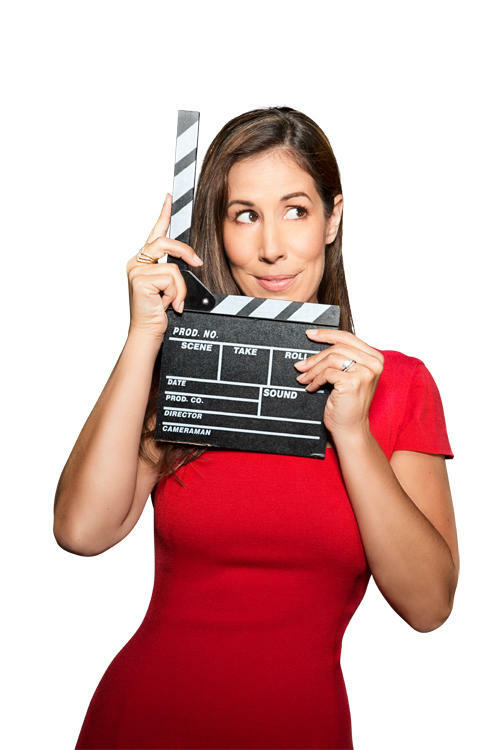 The step by step system to consistently create content that converts your viewers into buyers, that builds your authority and your audience and saves you time, energy and your sanity along the way. It’s time to step into the spotlight and shine like I know you can. 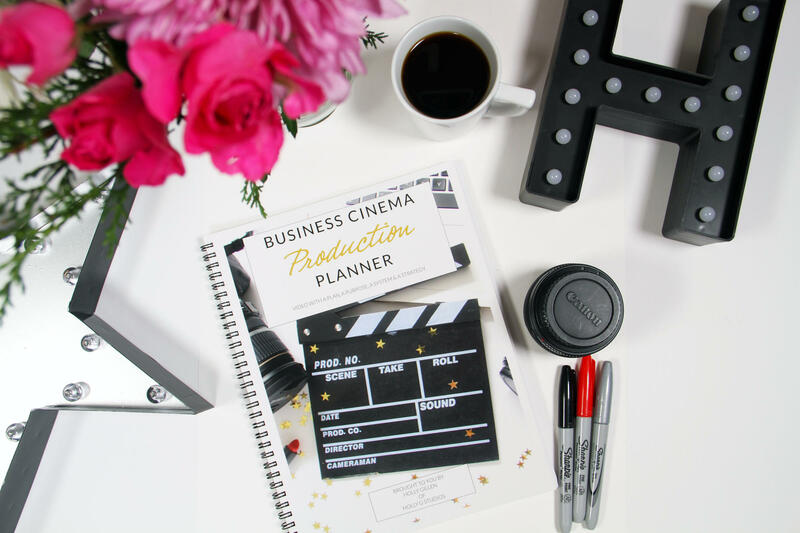 Use my formulas, checklists, system and strategy to grow your YouTube Channel, your business and your bottom line. Imagine you could sit down with your planner in hand and map out weeks or even months worth of videos. No more wondering what to do next. 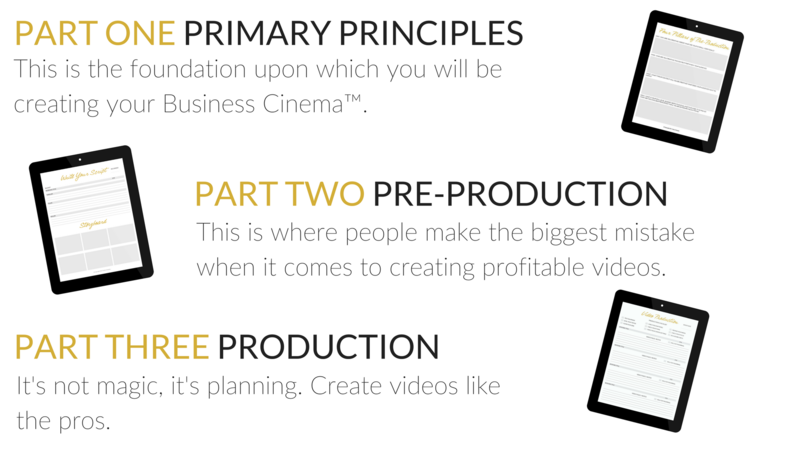 You will finally feel like a video pro and will turn your confusion into confidence and your fears into fearlessness!! 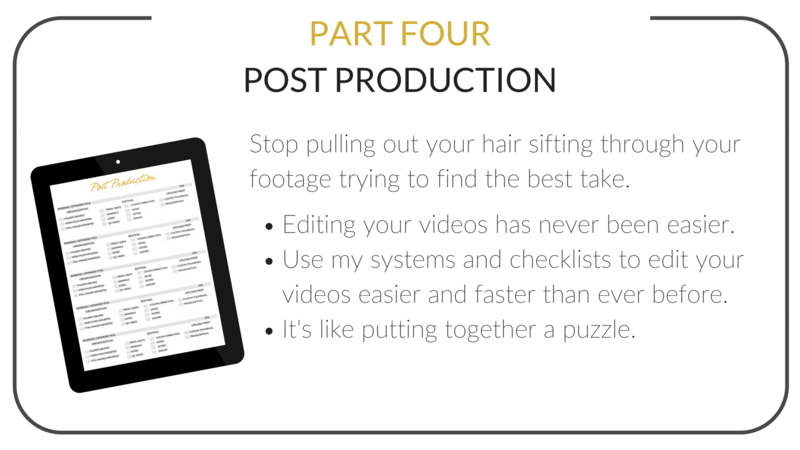 Recording and editing your videos becomes so easy you are going to kick yourself for not using this system sooner. And now that you're making amazing content that servers your audience AND your business. You are going to want to show it off. Good because I've got you covered there! I know you don’t want to waste your time. pro videos from a pro! 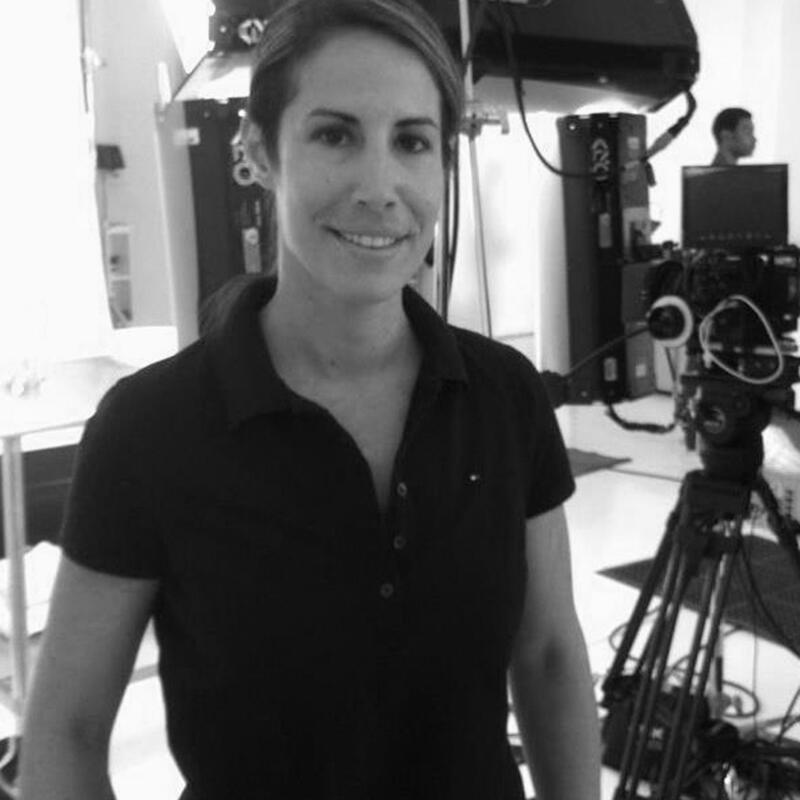 Holly G, Your Go-To Video Gal and I love planning and organizing. Besides that and more importantly I've been working professionally in video production since 2008. 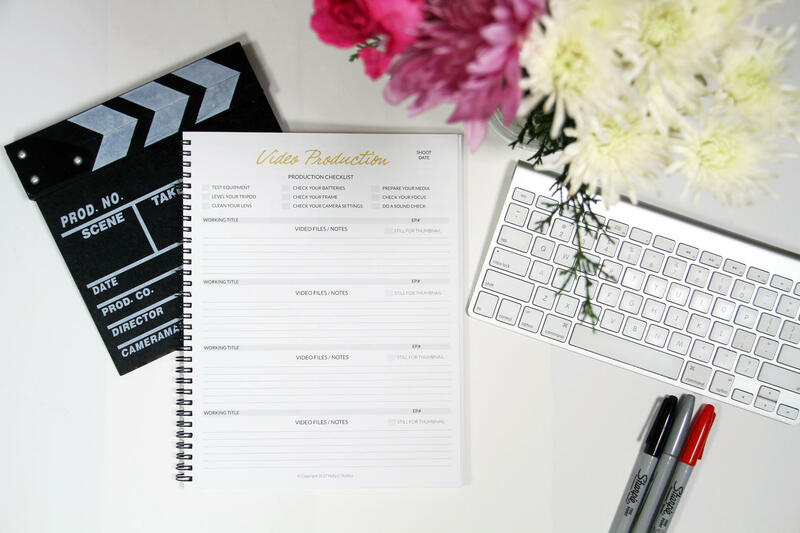 I've taken all that experience and knowledge mixed it all together to create the Business Cinema Production Planner. You will benefit from all my combined years of experience and my trial and error so you can do it with less bumps in the road. Saving you time, energy and frustration. 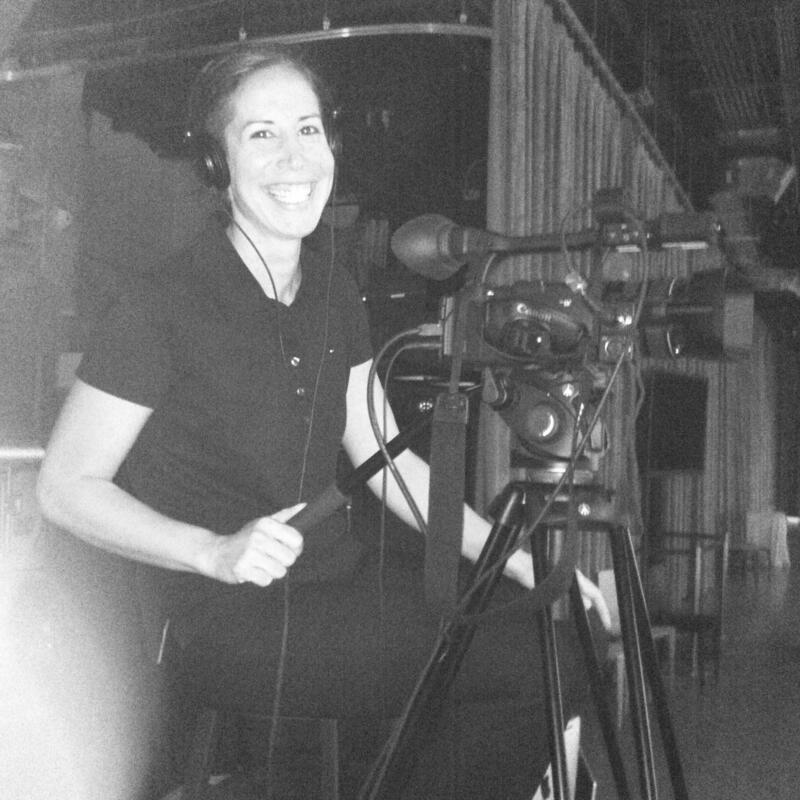 Are YOU Ready to Take Video Seriously? This is a tool to help you get where you want to go on your video journey with WAYYY less bumps in the road, but it will still require you to put in the work and effort. If you are ready to work. If you are ready to take video seriously. If you are ready to create videos you love then click YES! This is perfect for you if you are focusing your attention on making videos for your YouTube channel and you want to get more views, more subscribers and more clients. This is a good fit if you are READY to take action or ALREADY taking action, and you want to learn how to kick things up with a solid plan, a proven system, a strategy so you aren't just making videos for the sake of making videos and without a lot of fluff and BS cause ain't nobody got time for that. This is not going to be the right fit for everyone and that's ok. 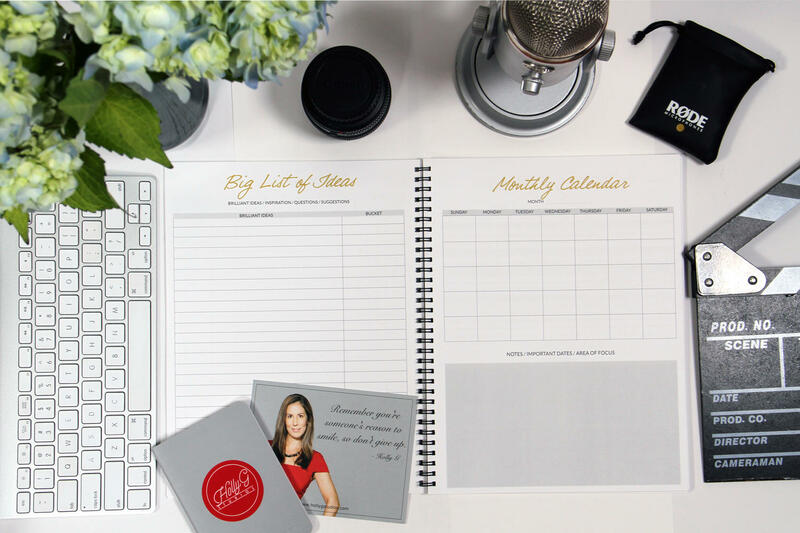 If you are not ready for the planner, then I frankly don't want you to waste your money. Save your money and come back when you are ready! before to lead you on a successful video journey. You choose between a physical or digital version, the you immediately get access to the Walk-Through Experience, where I will walk you through each section of the planner, explain exactly what everything means, and exactly how to use each section so you get the most value as possible. 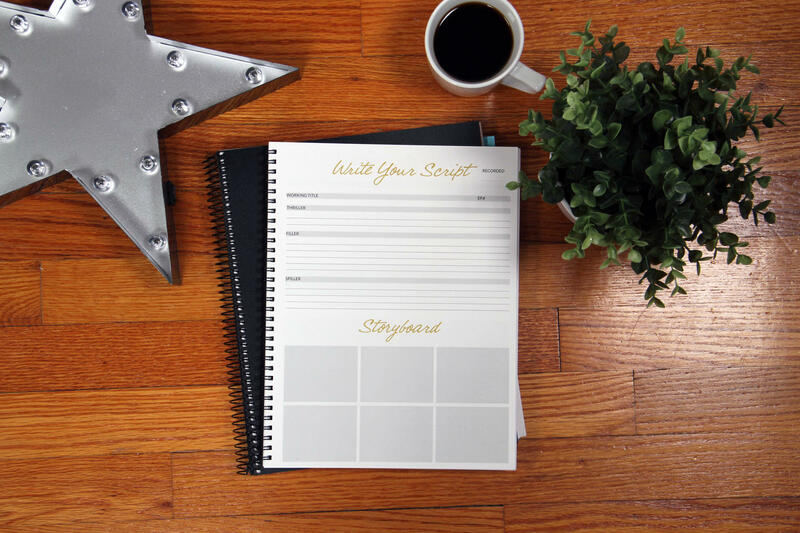 This planner is designed with you in mind. It will keep you on track and organized. It's everything you need to plan, strategize and systematically produce the next 3 months of content for your YouTube® Channel. 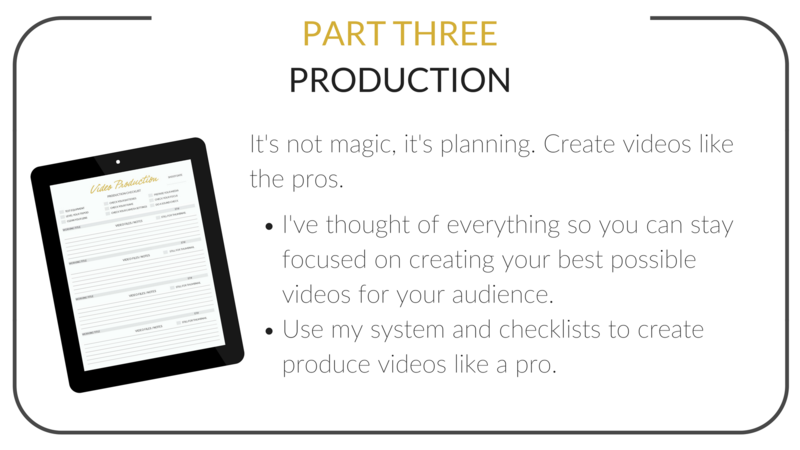 It's actually more than a planner, it's checklists, it's formulas, it's a system to create a winning video strategy. There is nothing else like it available.